Small addon for ISI Northamptonshire circuit. 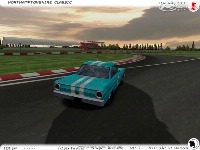 Recreates layout used for 2008 Silverstone Classic, with faster Vale corner leading into club. Also has additional marker cones. Big wheel used from TTTTT/Mini Maestro/F1Driver excellent Suzuka conversion from GP4. Recommended for use with texture update by SLN and 'Red texture update' by 6e66o. Known bugs - flashing numbers in top lh corner - if anyone knows how to get rid of this, please let me know. Delete previous version. 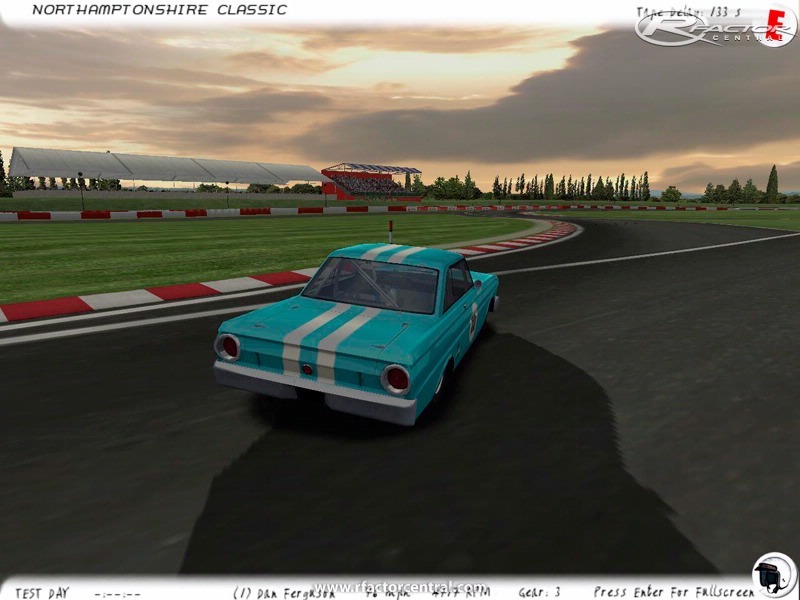 Extract in rfactor/gamedata/location/northamptonshire. OK basically guys ignore both download links on this page. They are for the broken v1.0. I found a mirror for v1.1 and now it works. The track is absolutely wicked, but why is the Abbey Chicane missing. I'm confused as to why there's 2008 in the name of the track, if its got a layout that they haven't used since like 1990 lol ---- Anyway m8 --- awesome work ---- I guess with a couple of hours in 3DSimEd i'll be able to make it the 2008 layout. ---- Awesome work. You also have v1.1 in the changlog. But both download links say v1.0. This track is rated highly, and sounds very good - so it's a shame it's impossible to start. It cannot load the texture "WALLCNCRT_LEWIS" for "CMWL_OUTERWALL_LEWIS". This is clearly not an original ISI file, so there's definately a missing file. I was expecting to install it and prove the previous guy wrong by getting it to work instantly. But it doesn't. For me it complains about something_LEWIS.dds ---- It looks to me like there's a bunch of textures missing. --- You say "Recommended" but I think you mean "REQUIRED" when you mention the Red Texture update etc. Because the track definately doesn't work with the original Northamptonshire ISI alone. ----- I'm no dope, I am fully capable of converting tracks etc, but it doesn't work. I will keep trying random things but I think you need to include something else with the track to make it more available to people. 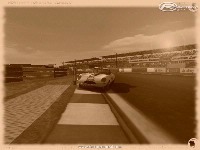 Hey I can't get the track to work. Crashes on loading with an error about RMBLA2GRASS texture. I thought maybe I needed to still install the red texture update so I installed that to all the northamptonshire tracks and then got the same problem with all other northamptonshire tracks. This leads me to believe it has to do with the red texture update included in the track. 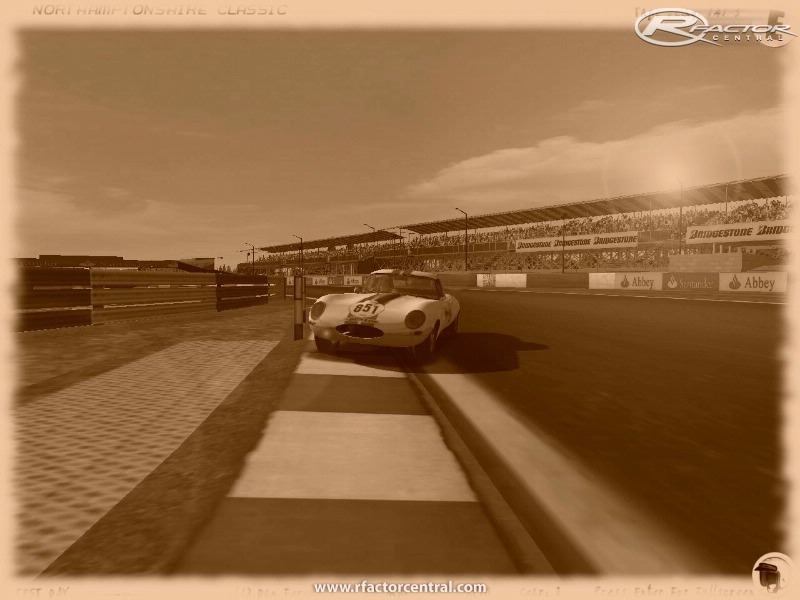 So I deleted the RMBLA2GRASS.dds file tried loading British GP layout and got an error for RMBLA2ASPHALT texture and then deleted that .dds file and the regular Northamptonshire tracks work but now some kerbs are blue and Classic 08 and 07 still don't work. Anyone know how to fix this and still have the red texture update? Thanks. This version does have Abbey chicane, 2007 version which I am working on now will not.